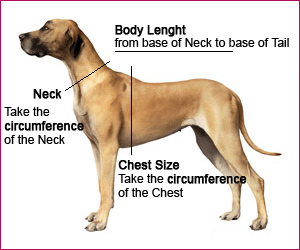 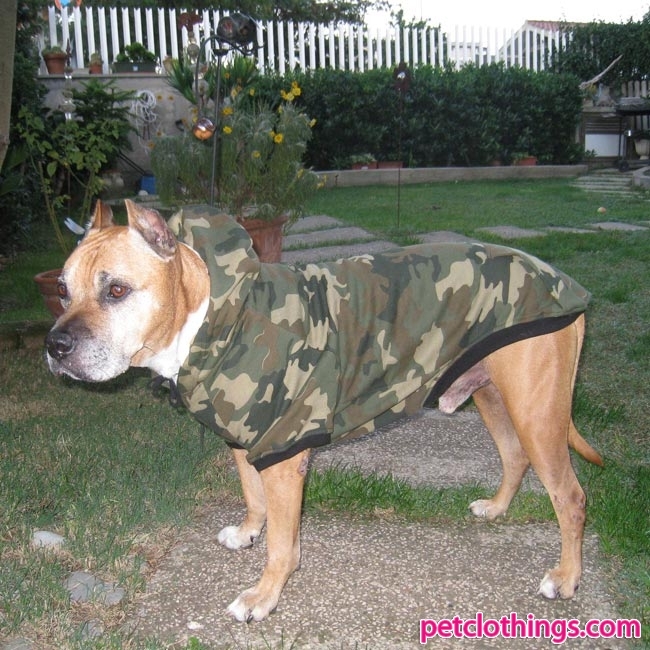 A new model of sweatshirt, designed specifically for large size dogs. 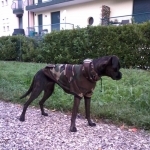 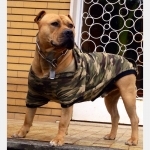 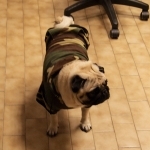 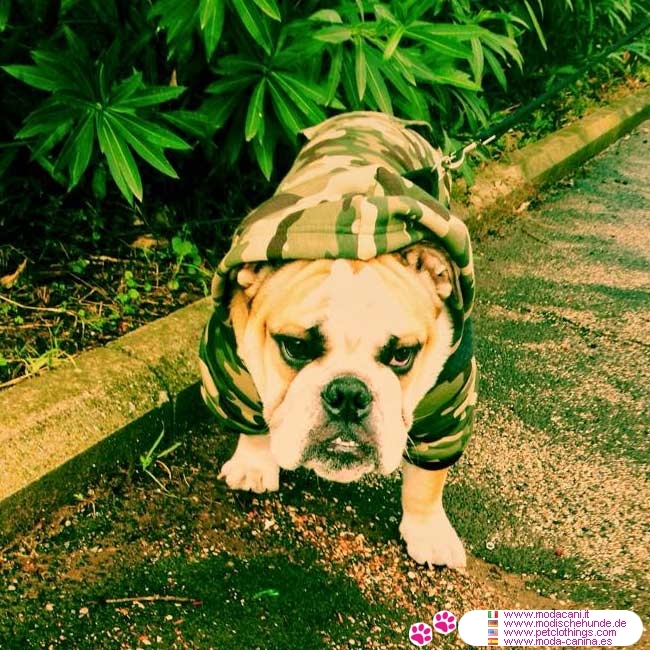 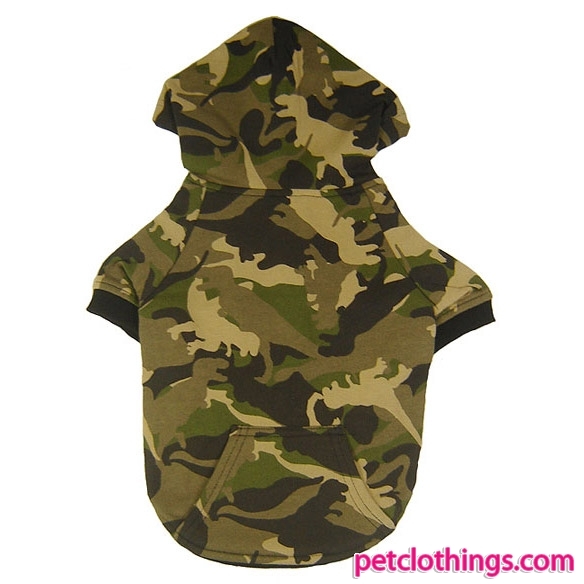 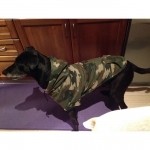 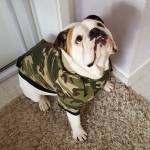 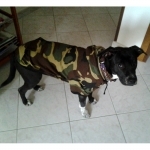 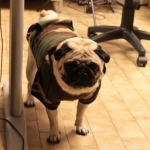 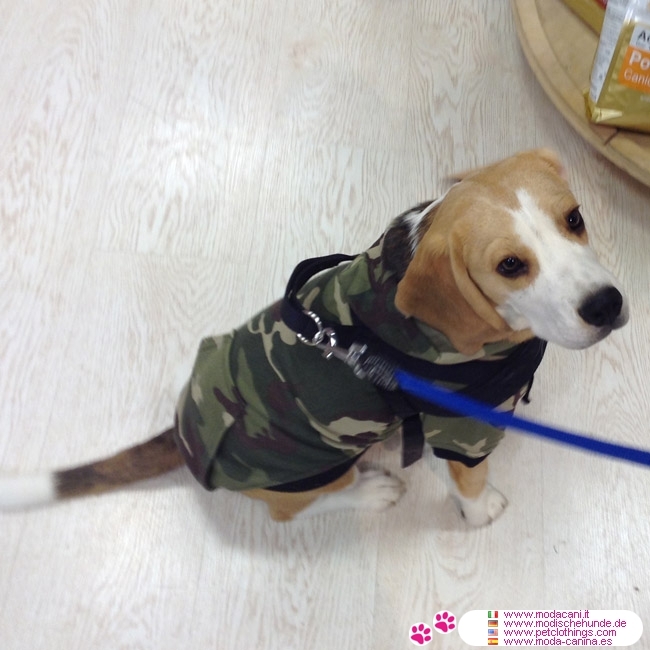 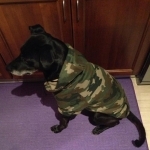 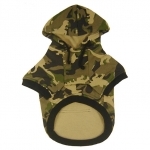 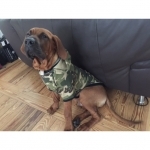 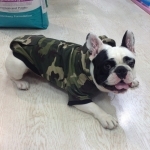 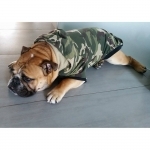 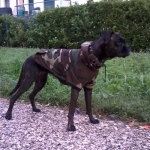 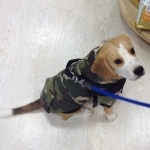 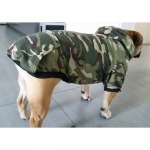 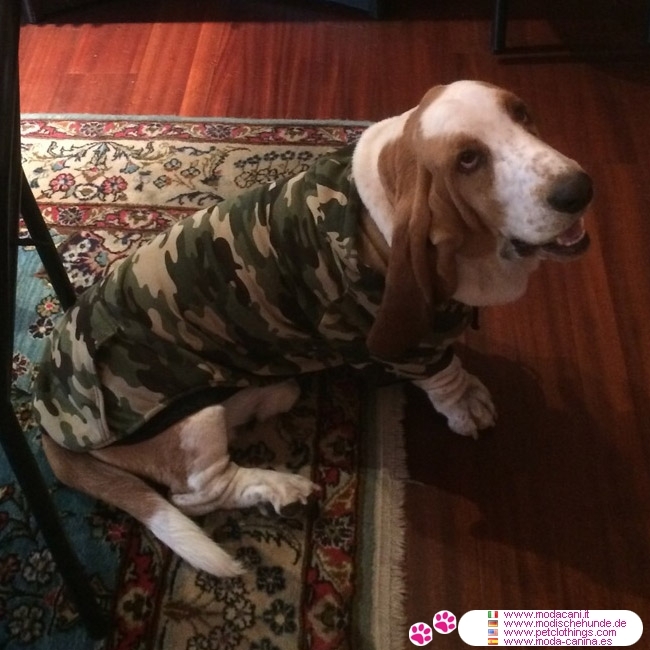 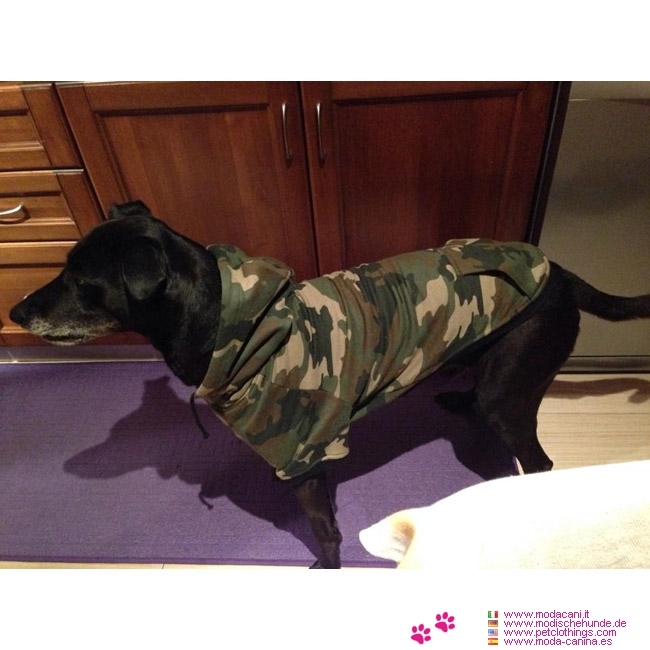 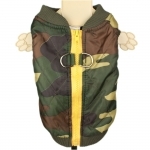 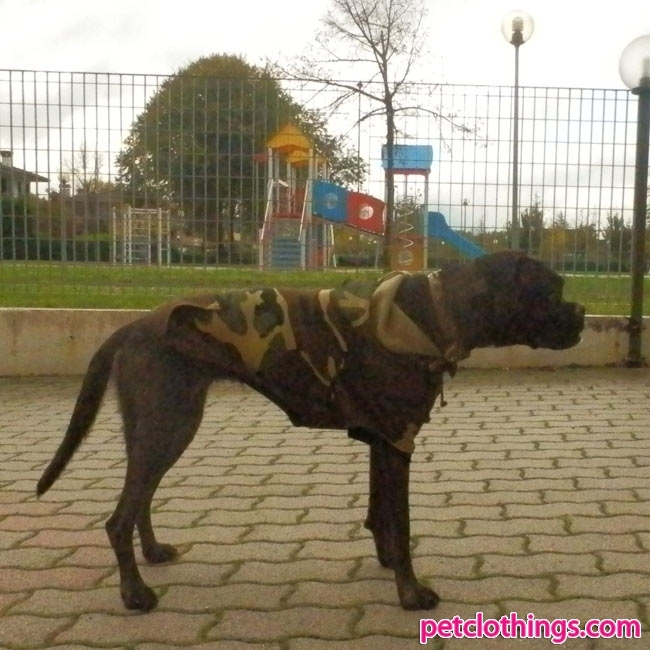 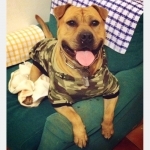 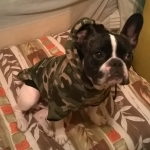 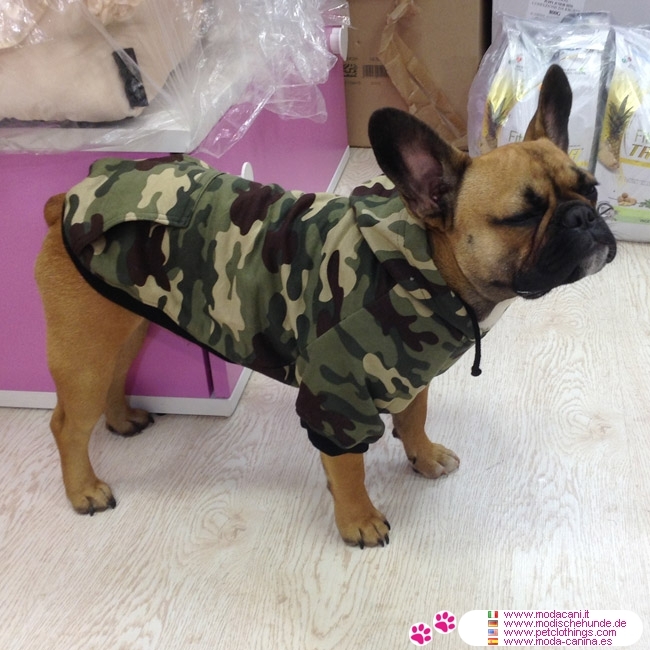 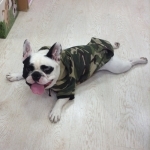 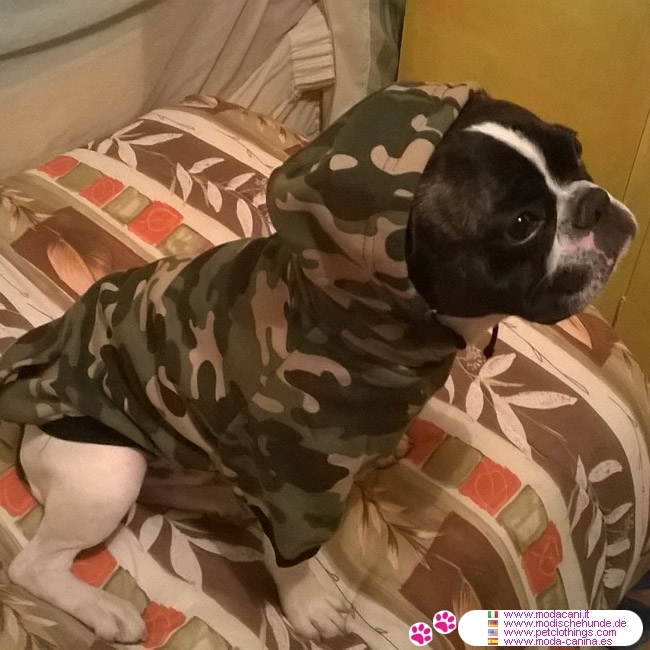 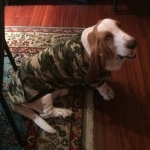 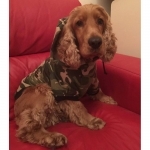 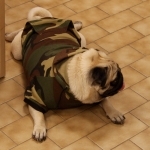 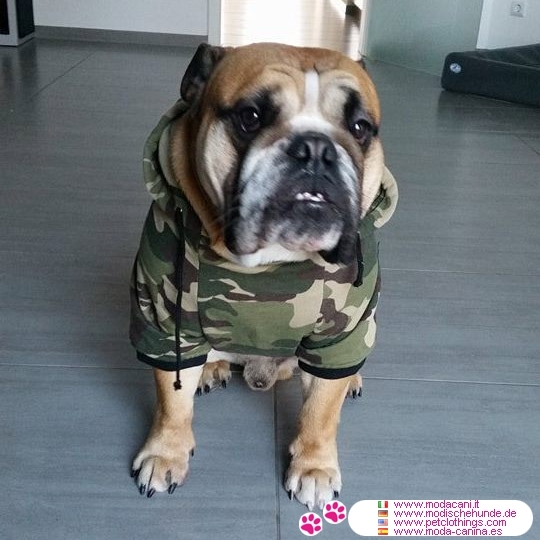 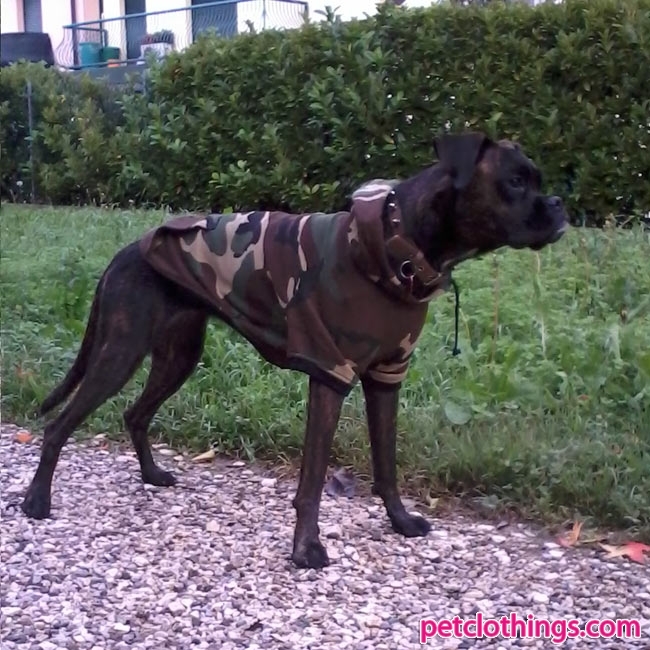 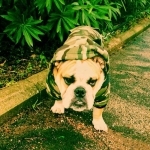 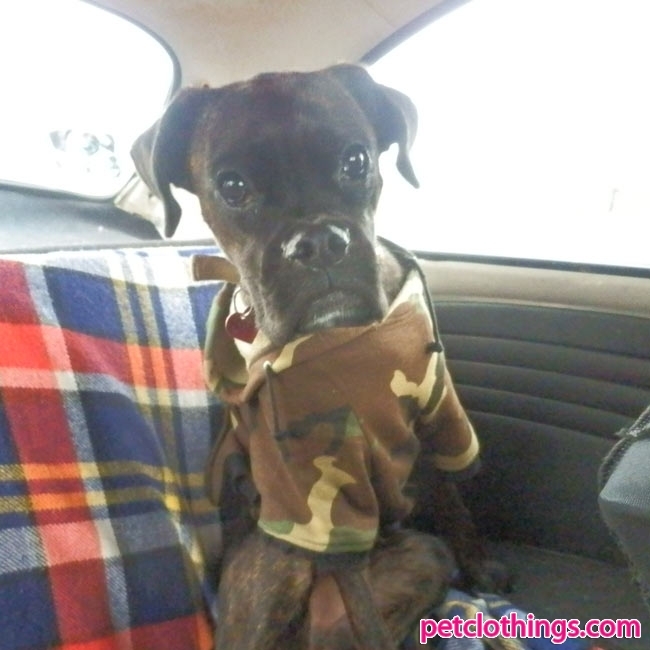 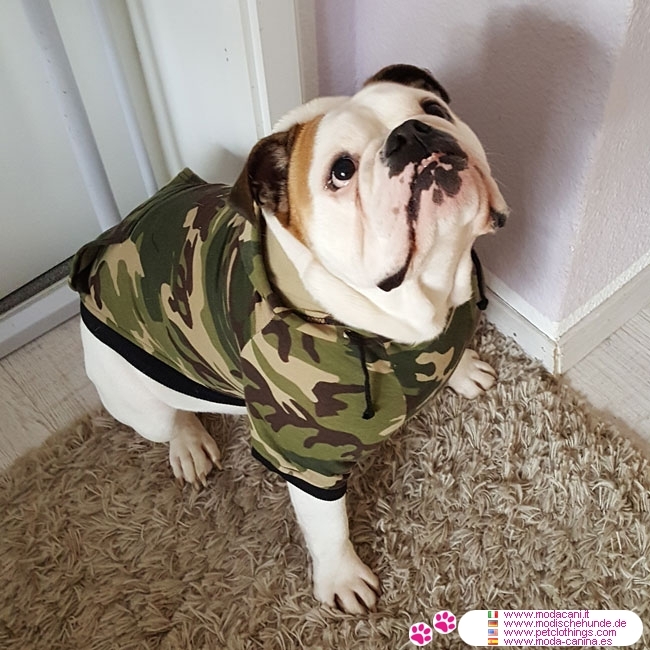 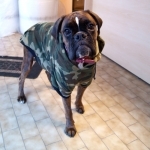 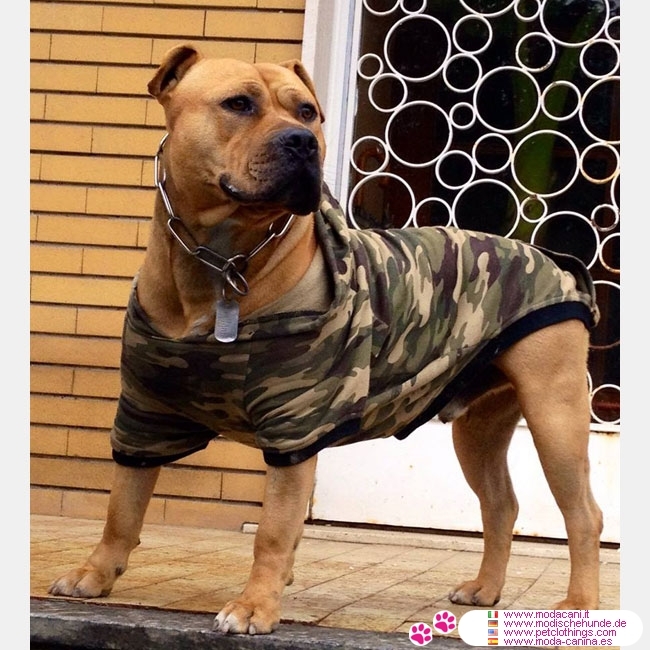 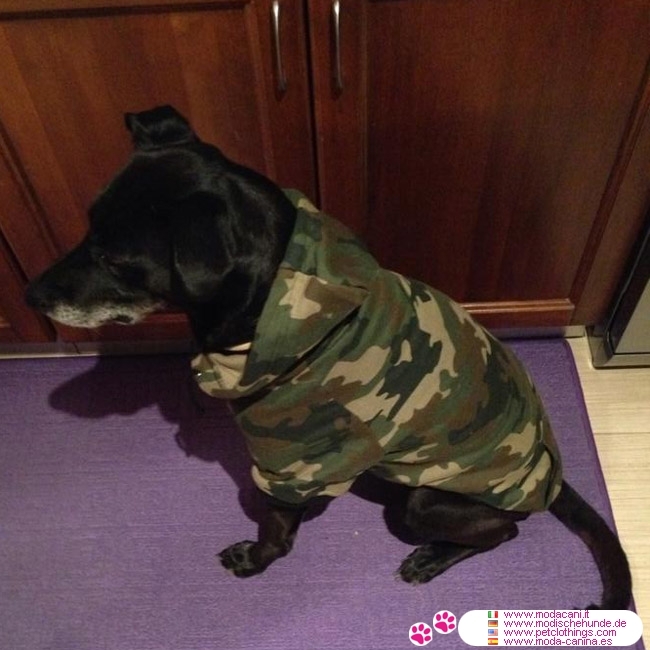 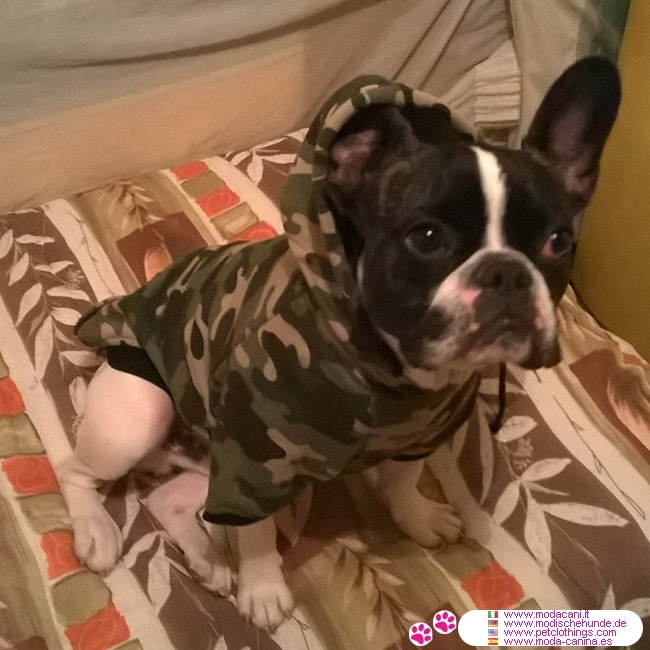 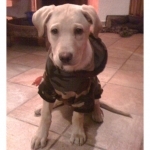 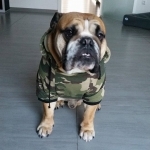 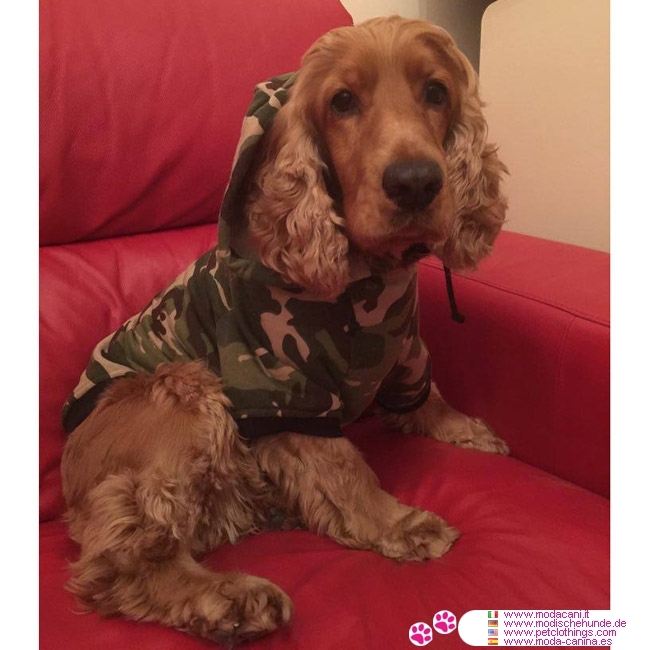 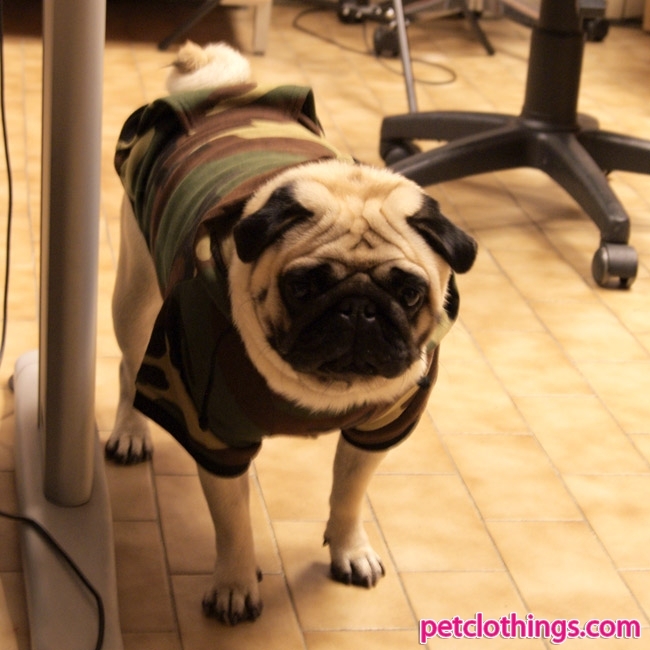 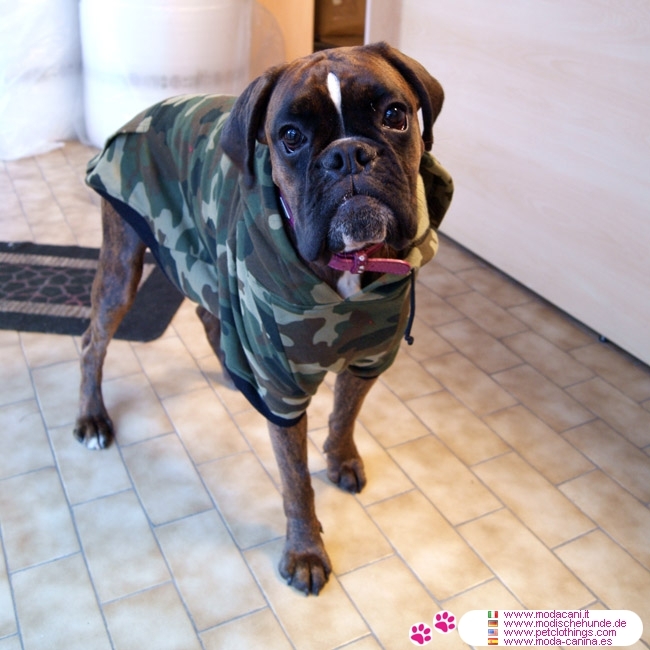 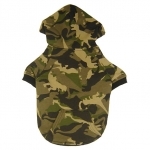 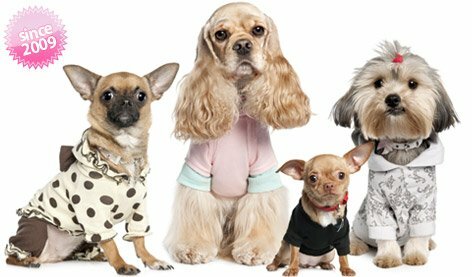 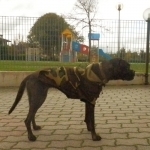 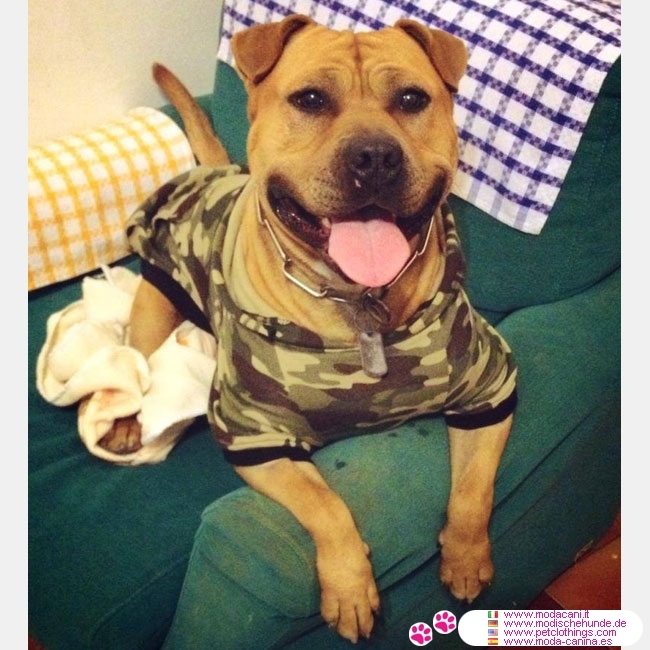 This green camouflage sweatshirt for large dogs is just like he upper part of the suits for men, with adjustable hood with lace and kangaroo pocket on the back. 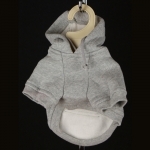 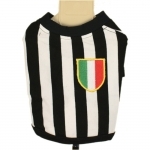 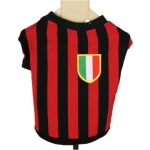 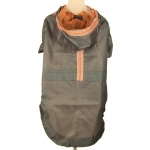 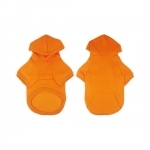 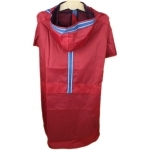 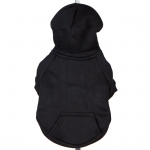 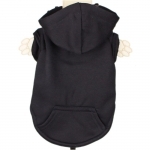 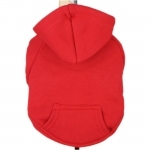 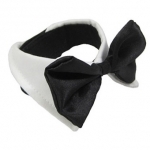 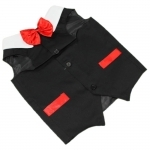 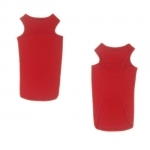 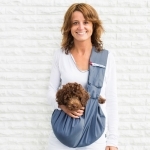 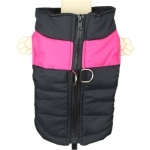 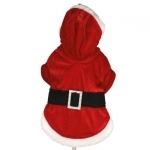 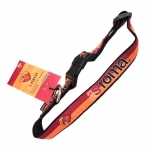 Very soft inside, is made in 80% cotton and 20% synthetic.